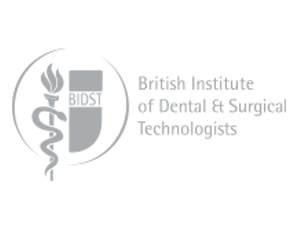 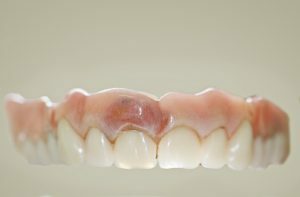 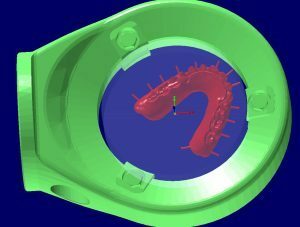 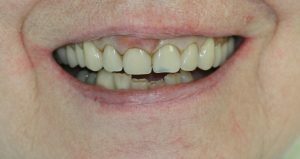 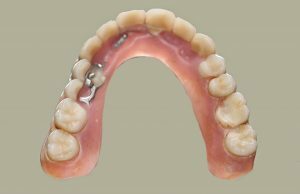 This was a difficult case due to the limited occlusal space and high level of wear occurring using conventional materials, so we needed to come up with a solution that was different to what the patient currently had. 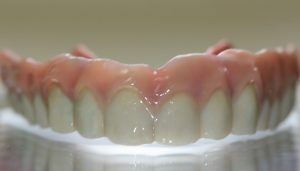 The pictures below show the chrome framework showing through due to heavy wear. 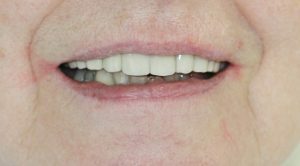 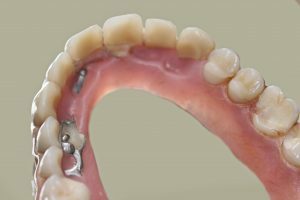 Reduced labial crown length due to lack of space around locator attachment, compromising on aesthetics. 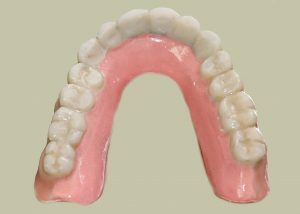 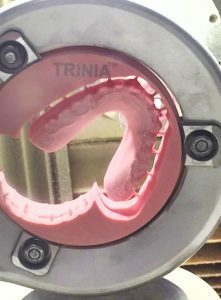 Using Cad/Cam technology we were able to mill a TRINIA permanent framework which is composed of a multi-directional interlacing of fiberglass and resin in several layers which enables us to keep the baseplate to a minimal thickness while still offering excellent strength.